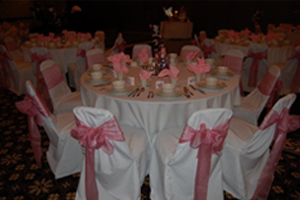 Thank you for allowing Century Banquet Center (CBC) to provide you with menu selections for your special event that you are planning. 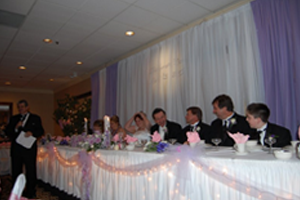 Located in Sterling Heights within The American Polish Century Club, CBC has provided over 45 years of service to the community. 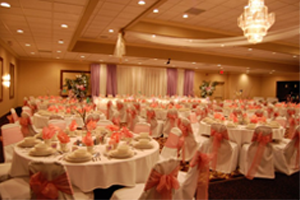 Our location offers guests easy access to area freeways and hotels. Nestled in the trees overlooking Maple Land Golf Club at 14 Mile Rd. and Hoover, CBC offers a unique setting for a lawn wedding ceremony or many picture opportunities. 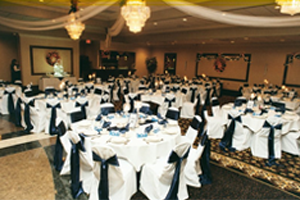 Our professional staff will be happy to assist you with your plans to ensure your event will be a tremendous success by providing the highest quality of food and service for your event. Should you wish to tour our facility, please contact on of our experienced professional staff or you can download a copy of our facilities floor plan here. We look forward to having the opportunity of serving you! Chef Leonard is an alumni of the world renowned and prestigious Culinary Institute of America Hyde Park, New York. With a career spanning over 30 years of experience in some of the area’s finest clubs, hotels and banquet centers, Chef Leonard now brings his talent to us. Whether its is a luncheon or an elegant wedding celebration, Chef Leonard will dazzle your taste buds with his Classic or Traditional cuisine. Chef Leonard has established himself as a local “Favorite Chef”. Laura brings to the club over a quarter of a century of experience in the banquet and catering industry. Her last position being at a long time Detroit favorite “The Polish Century Club”, has prepared her to attend to all of your special occasion needs. She has established an impressive list of clients that have followed her to our location.